Some snowy feathers, as the snow begins it's retreat from my deck. As February winds down and March knocks on the door with a wonderful day approaching, the first day of Spring I thought I'd post a few photos of February closing. A stream I often fish, locked in snow and ice its wild residents hunkered down dodgeing slushy ice flows, looking foward to skunk cabbage sprouts along its banks, and perhaps a mayfly nymph moving towards the surface. A bowl of firey hot homemade chili, with warm cornbread. And a streamer I designed to comemorate the World Baseball Classic, team USA, 2009. Looking at it and knowing that playball will be heard soon is enough to warm this New Englander. 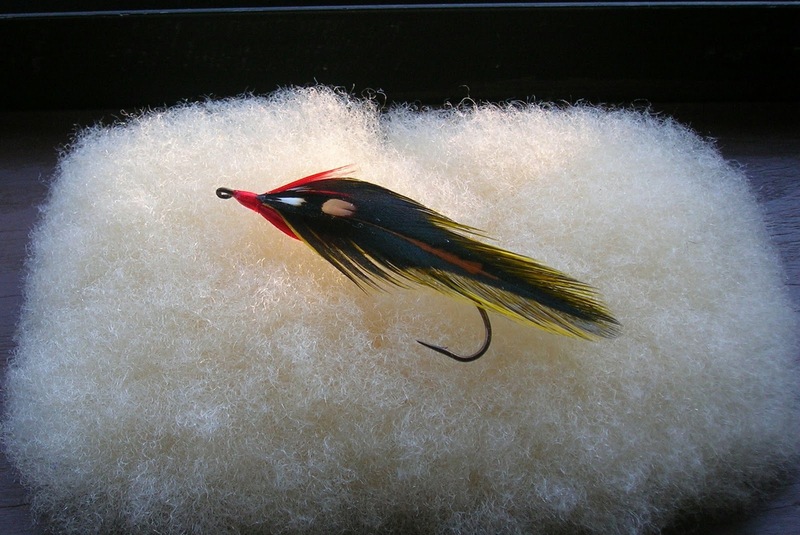 The "Platte River Special"...... Tied Rangeley Style. 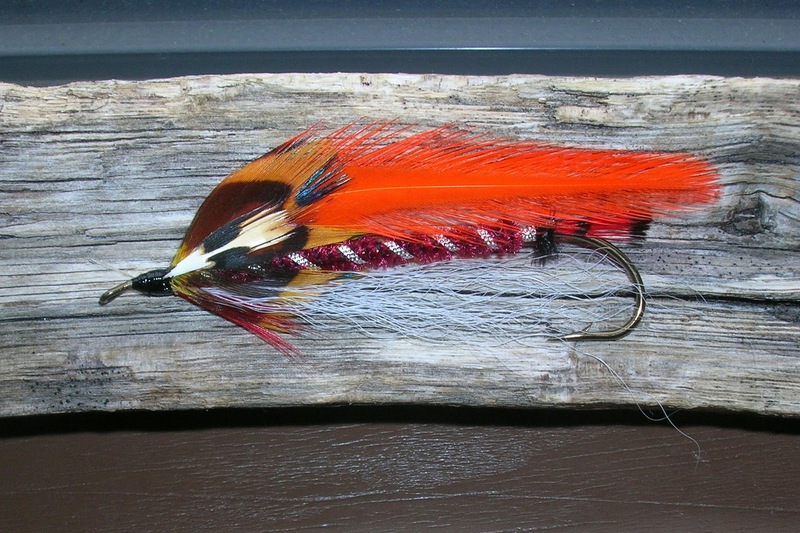 After tying and posting the Poudre Canyon Special, my friend Midgeman made mention of a western streamer called the Platte River Special. I did some research on the net and couldn't find much on it. Midgeman promptly sent me two photos of the streamer, one very good looking fly and the other well not so good looking. 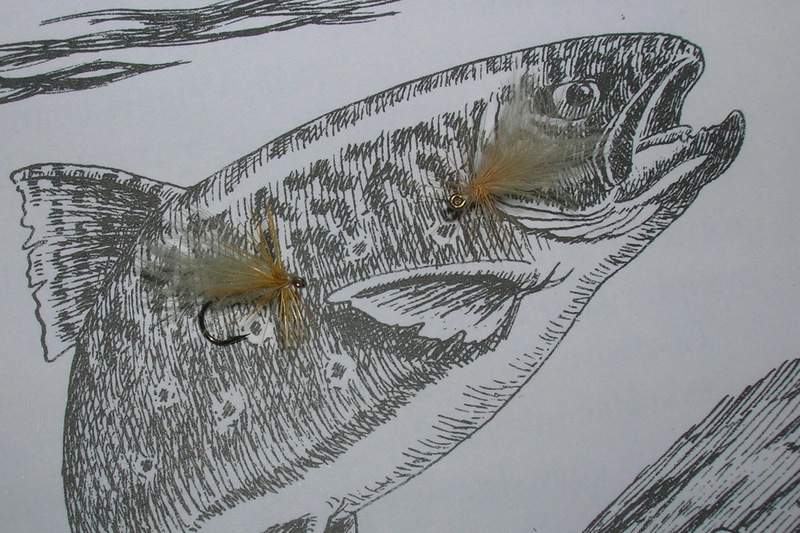 The colors used in the fly seem to represent brown trout fry, and parr. 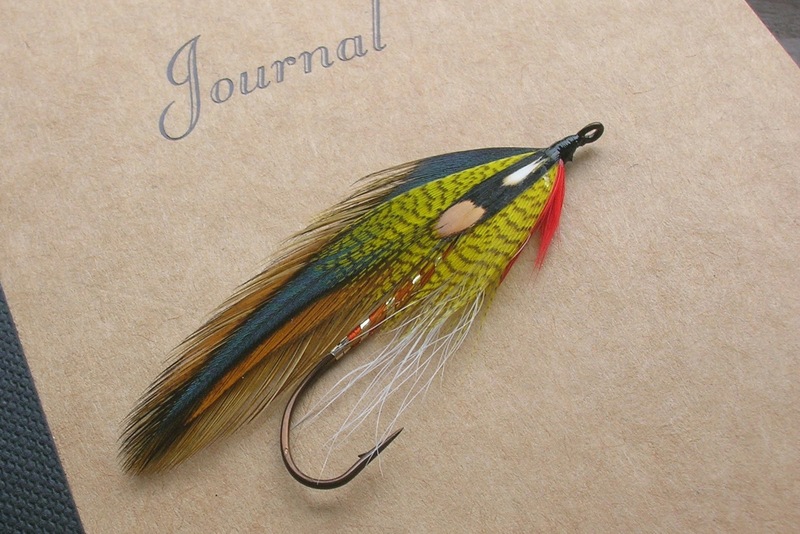 So taking these colors I set out to tie the streamer in the Rangeley Style. 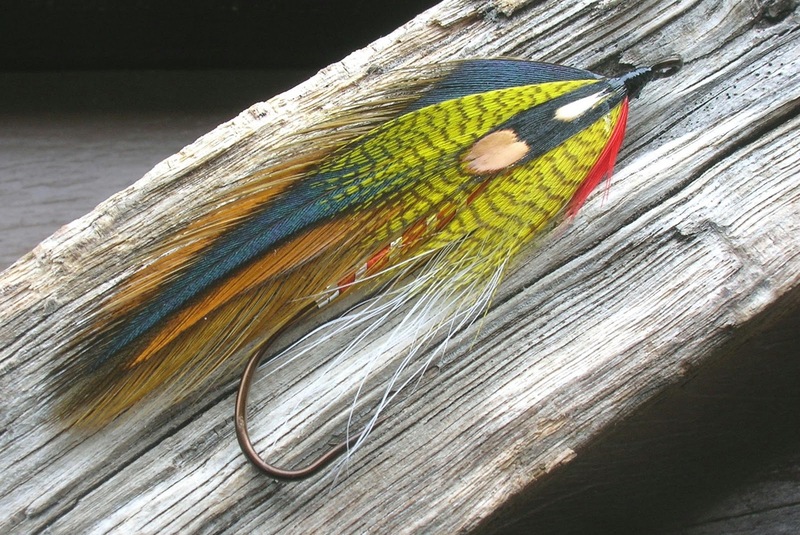 The "Platte River Special", tied Rangeley Style. This one using the same colors only its tied with out the shoulder. The two streamers side by side for comparison. 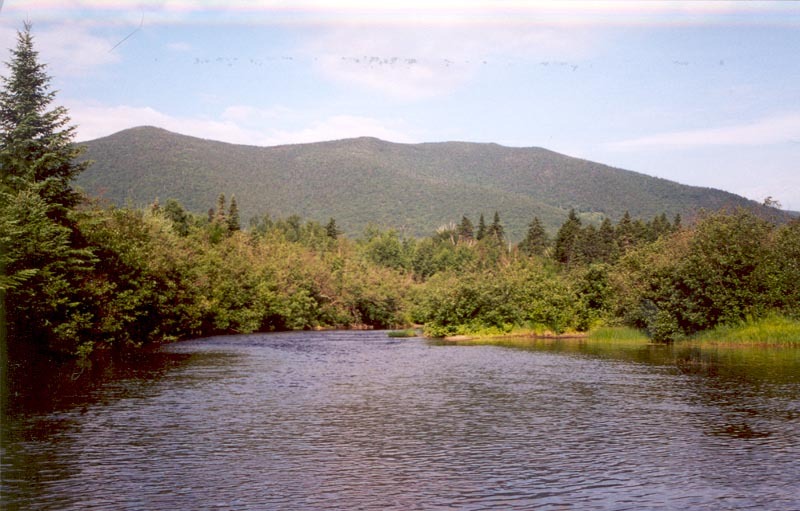 This is a small wild brook trout stream in Connecticut. 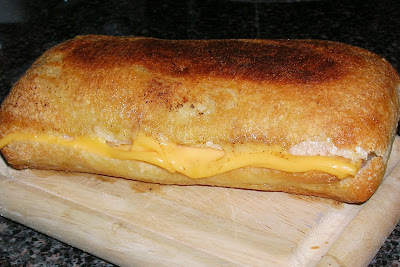 It's a freestone typical of New England. It holds a good population of wild brookies who seem to never dissapoint me. 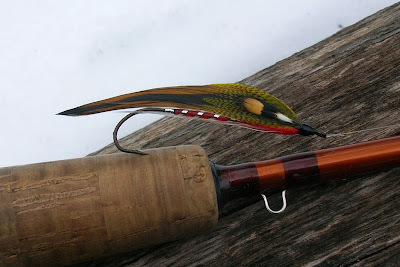 While they are not fussy about what they will dine on, so fly patterns don't matter much, they can be very wary of whats going on streamside and will scatter if something's not right. Once the alarm bell is sounded, forget that piece of water for a spell and move on. 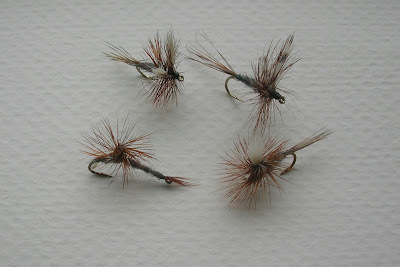 I fish dry flies most of the time on these dainty little waters, the Ausable Bomber being the number 1 fly. I protect these wild streams like my bank account, and treat them with respect. We had some moderating temps the last few days here in the northeast, so I decieded to spend a few hours fishing The Farmington River. This is a fine tailwater fishery with lots of wild browns. My plan was to fish nymphs, and give the "Poudre Canyon Special" a test. Finding a place to park was a chore because of the heavy snow pack. Once I managed to find one, the trek to reach the river was a bit rough. The snow pack was deep, at least thigh high. After reaching the waters edge there was some shelf ice to deal with, but once in the water it was not to bad. The water was cold, I did not take a temp, but I believe it was in the mid 30's. The water was cloudy from some snow melt. There were a few small stone flies about, and a caddis or two. I started fishing a 18 BHPT and pretty much stayed with it, changing only to the P C Special. The streamer worked well in the water and I believe it will take a few fish come more hospitable times. 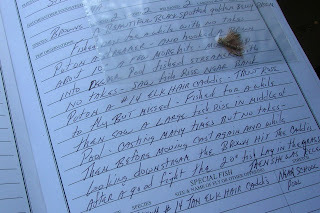 When I started fly fishing I never wrote down my experiences on the water, committing most to memory, but as I gained a few more years on this earth, and many more fishing trips, my memory got a bit fuzzy and what particular fly worked on May 6th, in rough water was no longer easy to recall. 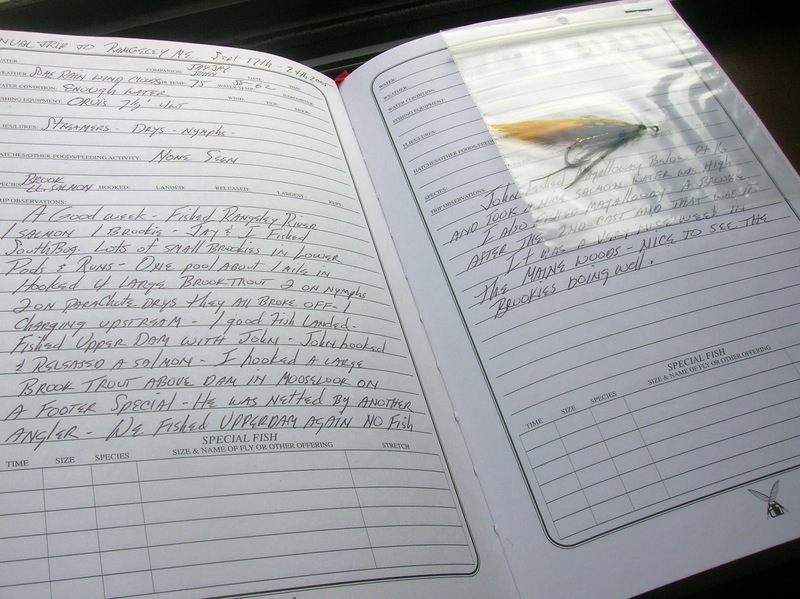 Thats when I started writing down certain facts that related to a fishing outing, the only thing most of what I wrote down was on index cards and cheap pocket small note pads. These notes were soon lost and I was back to guessing. Thats when at a fly show I discovered journals just for fishing. This made my trips documented and organized. 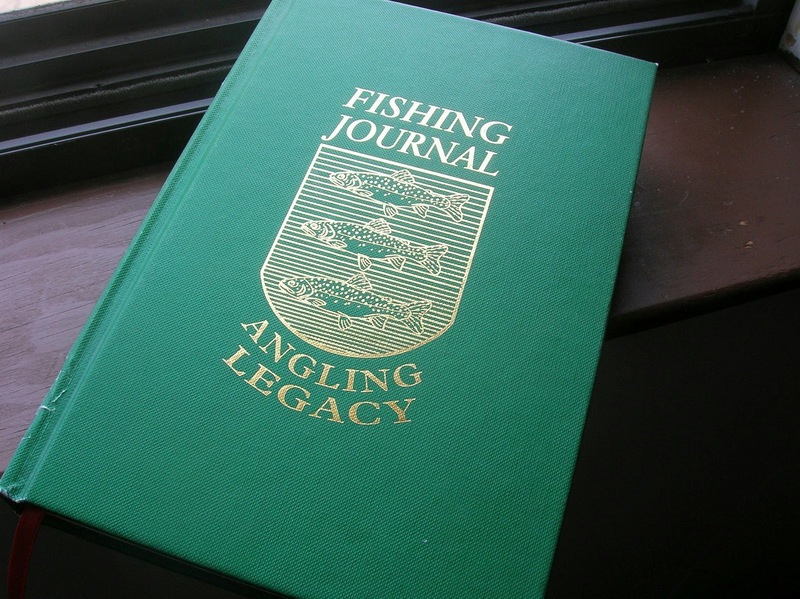 The first journal was a nice hard cover book, the only drawback was it was not easy to take with me. I used to write down my entries when I returned home, so as not to forget. I soon found a small journal that would fit in my pack and I could document my thoughts and results right at streamside. I still carry my journal, although not every outing has a page. I now reserve some of my special trips to document. 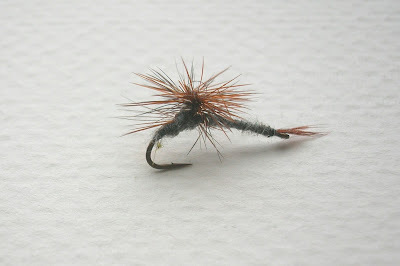 On some of my outings a special fish will be taken on a certain fly. I'll put that fly in plastic, staple it to the page entry, and retire that fly. This is a larger journal I had made a few years ago. 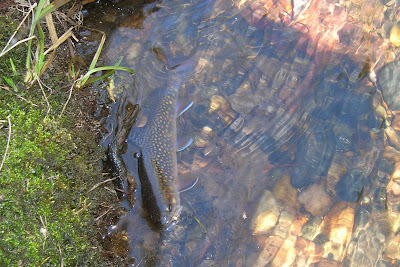 Its a photo of a small stream wild brown trout. 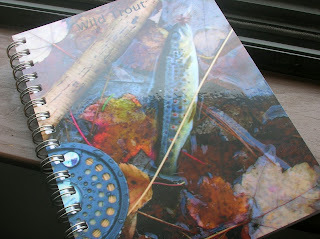 I also keep a small journal of the streamer patterns I design, with recipes and results when fished. 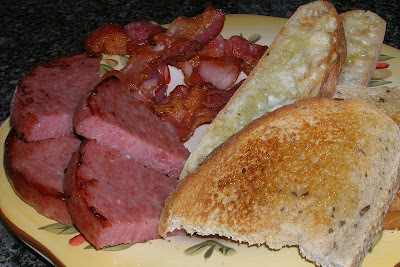 Breakfast foods are some of the best combinations going, simple eggs, bacon, sausage, kielbasa, and good bread with butter, and jan or preserves. These foods can put you in a good frame of mind to start your day. I also apply the same foods to umcomplicate a long day and relieve the stress. So many times Jeanette and I will have some of these for our evening meal, it is both satisfying and and comforting. Crisp country bacon, kielbasa, toasted rye, and crusty italian bread toast. 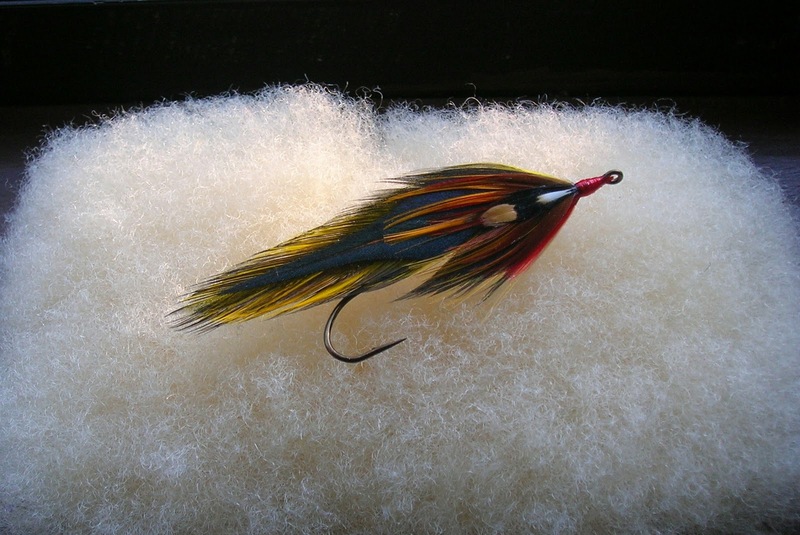 A streamer fly I designed, tied in the Rangeley Style, and named for a flyfisher, and fly tyer known as "The Midgeman". 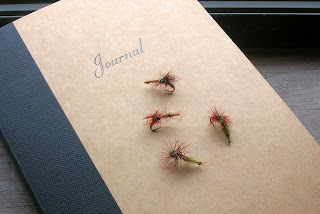 His blog, "Poudre Canyon Chronicles" is full of the most awesome tied micro flies I've ever seen. "Midgeman" for all you do, This Streamer's For You. 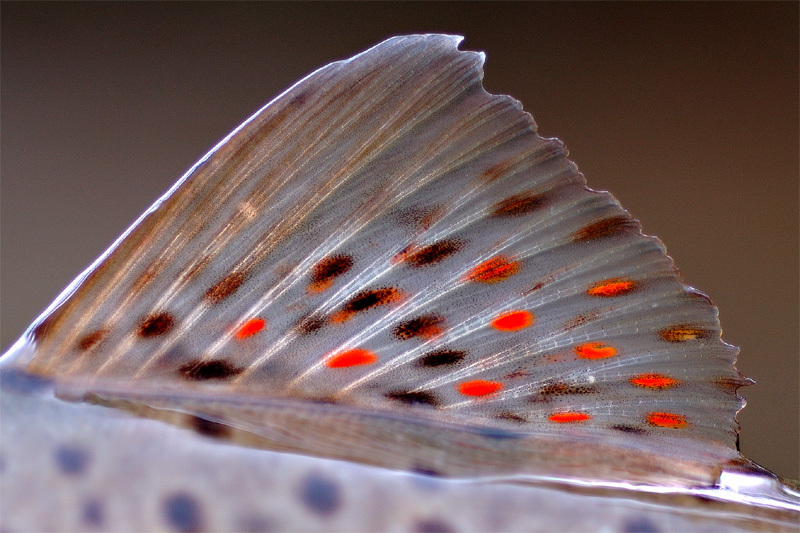 The Adams dry fly has been around for years, and continues to be one of the most productive dry fly patterns created. I'm sure most fly fishers have this pattern in their boxes. I carry them in size 14 and 16, using the parachutes most and in size 16. This is the newest Adams, reversed tied. When you look at the Adams you'll notice that it has almost all of the fish taking ingredients. A great fly for sure. 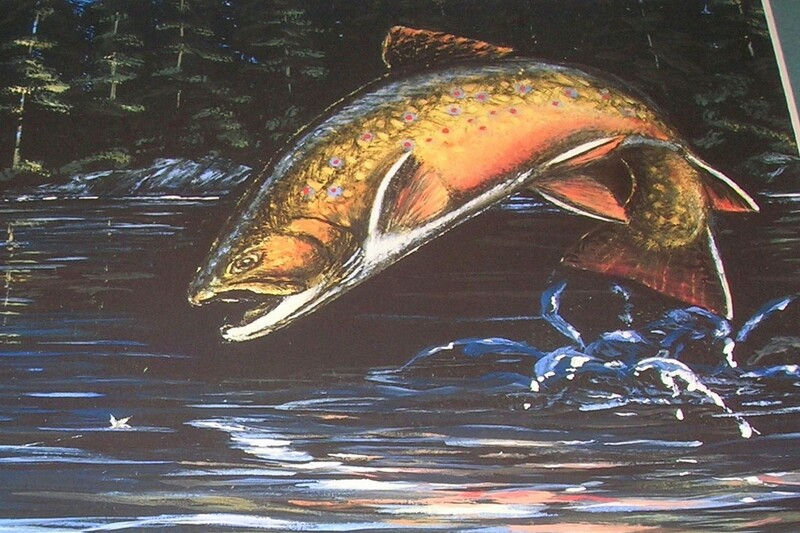 David Footers drawing of a brook trout in the late evening in pursuit of a fly in Steep Bank Pool. 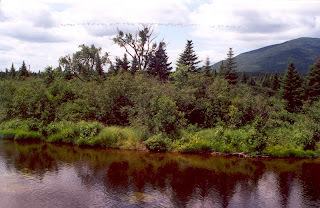 In western Maine lies a river that has its origin in Canada, it flows gently to form Little Kennebago, and Kennebago Lakes, it continues its flow to its destination Cupsuptic Lake. 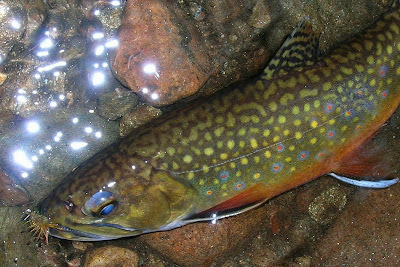 The river is home to landlocked salmon, and brook trout. 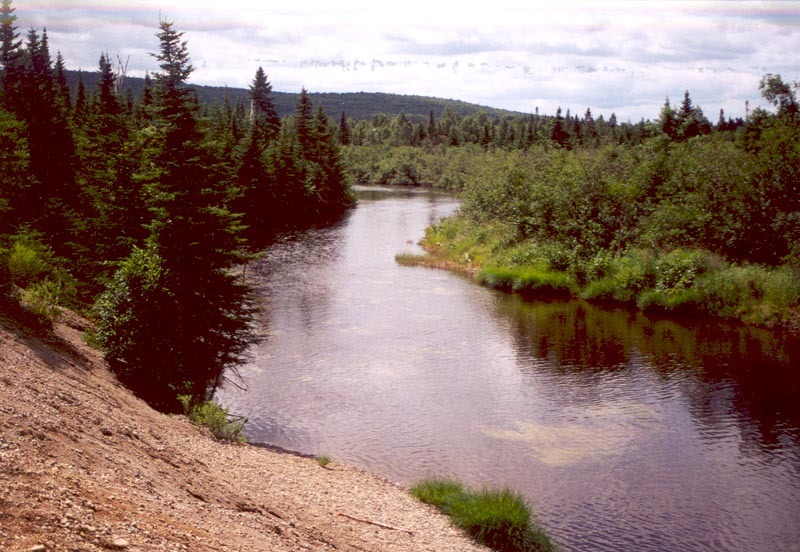 I have fished this river in both summer and fall, with fall being prime with the lake runs of salmon and trout. There are many pools and riffles that can be fished and to float and fish this river from a canoe is awesome. The one pool that has given me much pleasure is Steep Bank. Its given this name because of the steep bank thats leads to the river. The river holds trout all summer, I'm not certain if the salmom stay or return to the lake. 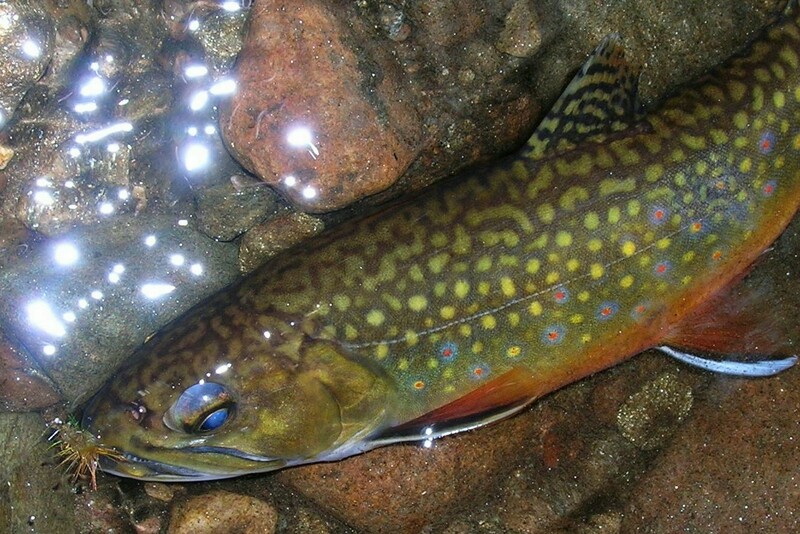 In summer I have taken nice brook trout on caddis patterns, and Hornbergs. The fall also produces brook trout on caddis, and streamers, along with some sizeable salmon. I have never taken a salmon or brook trout on a streamer in this river, they have come on the caddis and Hornbergs. Every year this river gives up some very large brook trout, perhaps some day I'll be fortunate to be one of the lucky anglers to achieve this. 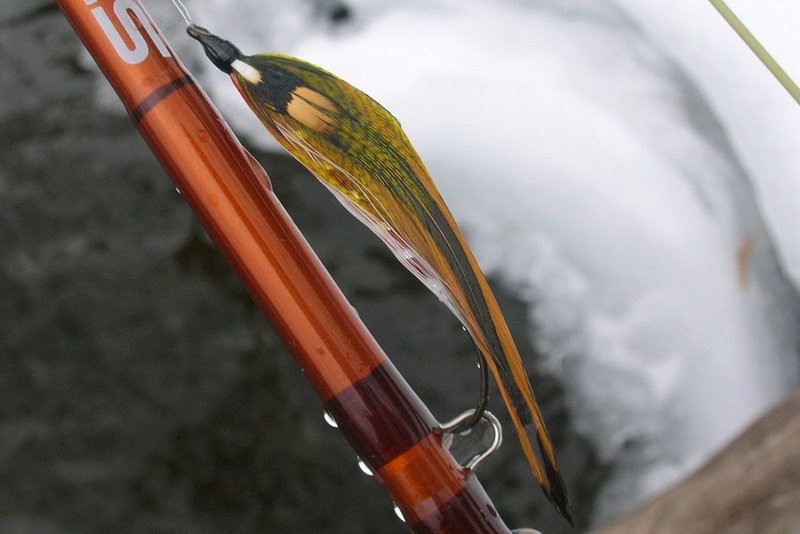 Its slow moving waters are perfect for floating a dry fly. The woods in this area are full of moose and viewing them is quite common. Black Bears and Loons are also here. And one of my favorites is to smell the fir trees especially on a damp cool September morning. Words cannot describe it. These are the caddis patterns I fish there. 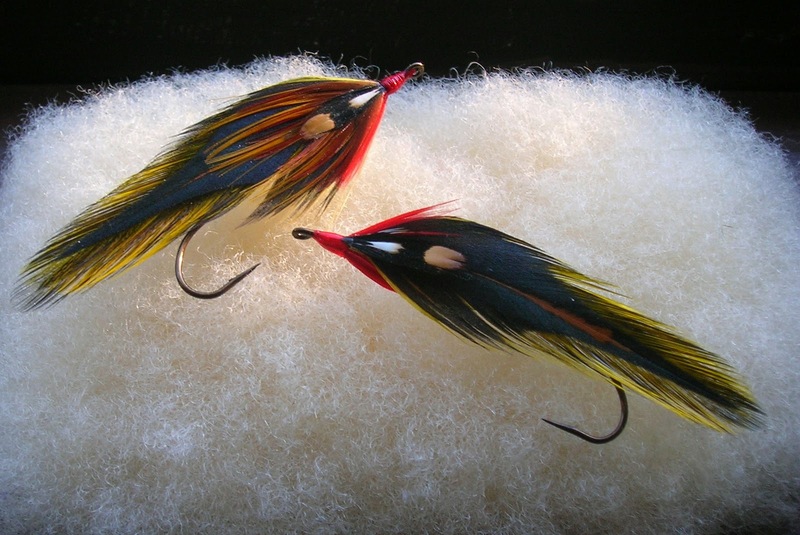 I originally purchased some in one of the fly shops in the area and they worked well. A simple CDC with hackle. 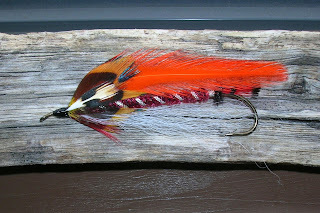 Although I have never caught a fish on a streamer, I designed this one for this beautiful river. 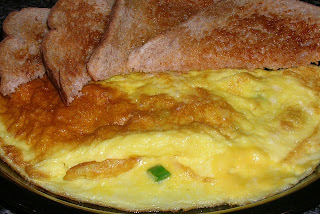 Along with fly fishing I also enjoy cooking. 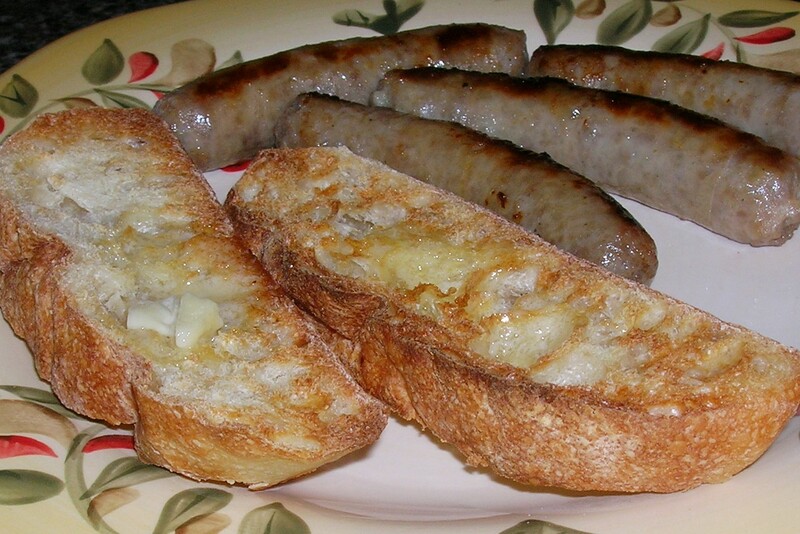 I also like making sausage, be it Italian style pork, Kielbasa, Venison, and now chicken. Its not to difficult to make, and only requires a few ingredients, and the finished product is oh so good. Grilled chicken sausage with fried peppers. 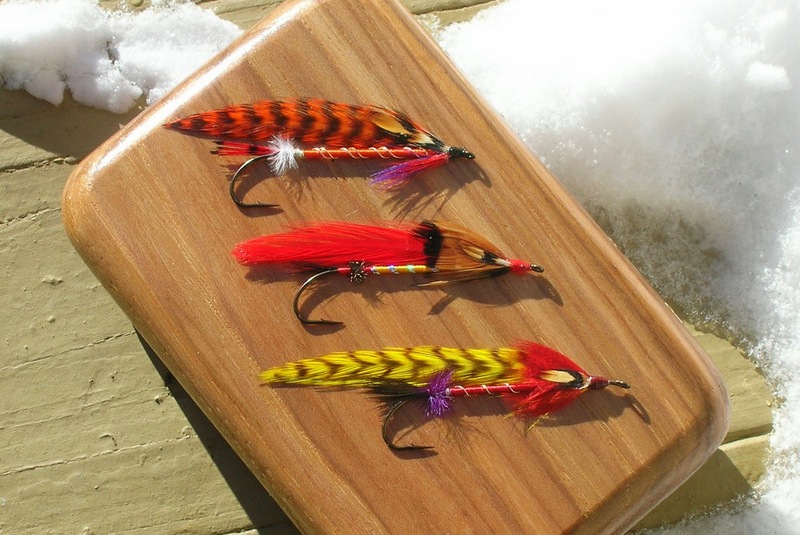 In the early days of flyfishing, the 1920's the fly wallet was the way featherwing, and bucktail streamers and wet flies were carried to the waters. 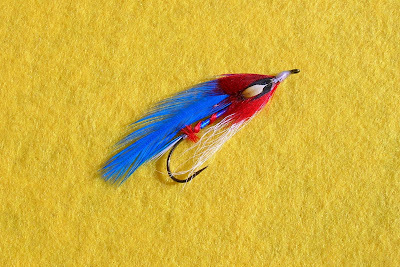 Many of them were fleece lined and would hold the flat flies, and several had pockets that would carry leaders. Fly wallets in recent times have been moved aside to more modern fly boxes of foam and plastic. I have over the years have collected several of these wallets, and love to display streamers in them. I still use one of them to this day, a Cortland, leather and fleece style. There are a few artists who today produce many beautiful fly wallets. 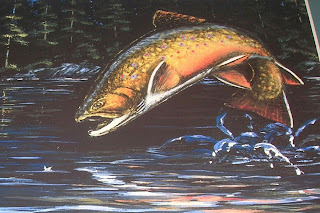 I am both humbled and honored for being recognized as having one of the top 50 fly fishing blogs. A thank you to all of you who read my blog. I'm already working hard on moving up the ladder.